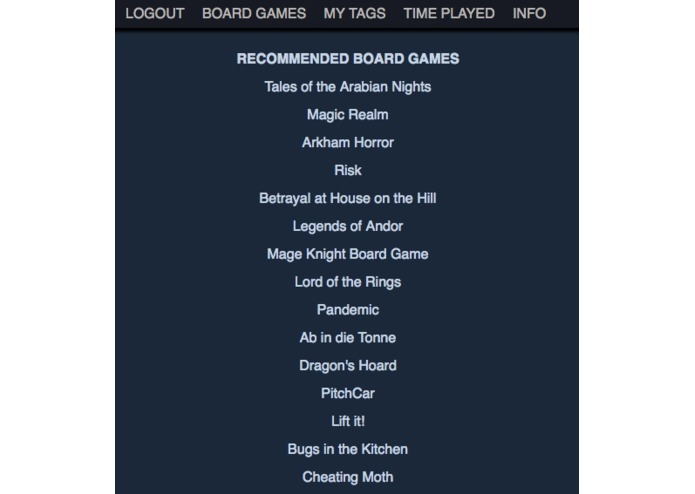 Get board game recommendation based off your steam games. I did most of the backend (api/web scraping/php). I worked on the front end and the css part of the code. I came up with the concept and concept art.